Bill Fritz, beloved husband, father, grandfather and friend, flew his last mission on April 10th, 2015. Bill, a true patriot, served his country in WWII in the pacific theater as a tail gunner on a B-25 Mitchell, and has now gone home to be with his other crew members in heaven. Bill was born May 7th, 1925 in Loveland, Ohio. 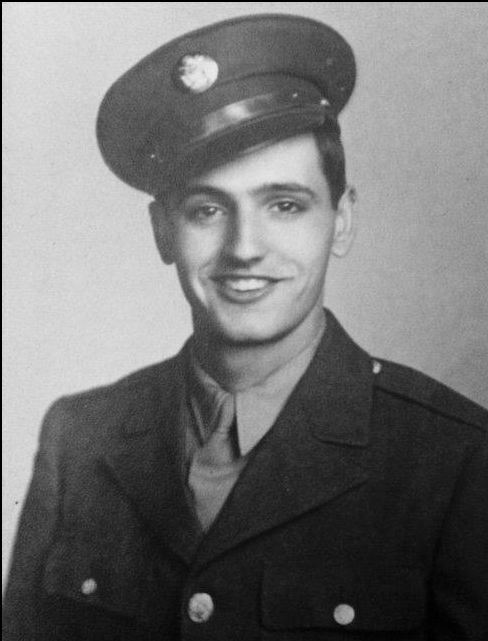 Bill entered the U.S. Army Air Corp, and served in WWII with the 13th Jungle Air Force in the South Pacific and Japan. Bill was a life member of Loveland VFW Post 5749 in Loveland, Ohio, and was a Post Commander for 3 years. Bill was always quick with a joke, but also loved to share stories about his life and his service time. He loved his hometown of Loveland, but had found true joy living in the sun in Mesa, Arizona since 1983. He loved all of his pets, Coca-Cola, traveling in his travel trailer seeing the county and watching TV and reading in his favorite recliner. He leaves behind a host of grateful people that were able to share this life with him; his wife Jo of 50 years, his co-pilot who was with him on many beautiful days and stormy nights. He also left behind on the tarmac two beautiful children; a daughter, Dana Lin Vandewege and one granddaughter, Harper Ann; a son, John Jessey and grandchildren, Ben, Jon and Rachel, three great-grandchildren, Maxx, Phoenix & Natalie. Bill also leaves a cousin, Bill Chamberlin, who is like a brother, and his wife Judy. The family wishes to extend their gratitude to the amazing, kind and beautiful professionals at Hospice of the Valley, the entire team assisted in making our last hours with him filled with love and dignity. Inurnment will be at 11:00 AM, Friday, May 8, 2015 at the Arizona National Memorial Cemetery, 23029 N. Cave Creek Rd. in Phoenix. I’m am so saddened to hear of Bill’s passing. My dad, Bill Timmerman, flew many missions with Bill on their beloved B-25 Mitchell in the Pacific Theater in WWII. My dad was the Flight Engineer and Top-Turret Gunner. They were true patriots! Fritz was so kind when my dad died. He even sent me pictures of the crew which I still have and cherish. I know that my dad was there to greet him in Heaven. My deepest sympathy to you and your family.